Currently, you can import customers, vendors, chart of accounts, and products and services from Excel. This is mainly for importing lists type, not exactly importing data like invoices or expenses. 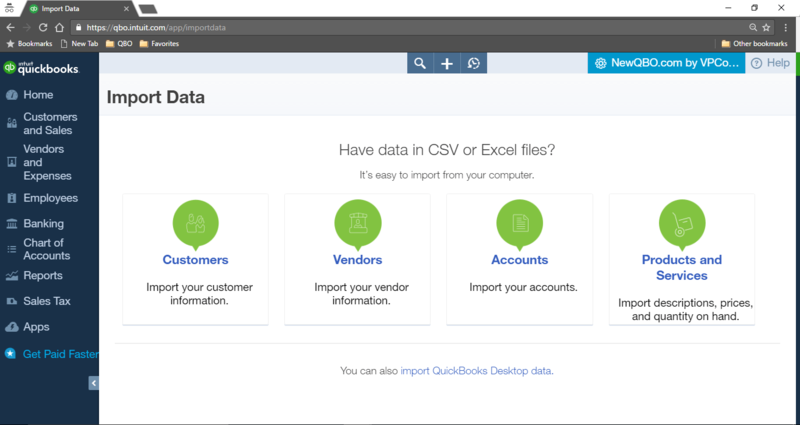 Customers – Import your customer information. This will not import transactions. Vendors – Import your vendor information. This will not import transactions. Accounts – Import your chart of accounts. This will not import balances. Products and Services – Import descriptions, prices and quantity of hand. They all have a sample download file in excel.